"My entire team understands what is necessary to make a client happy. We continually evolve and adapt to this ever changing industry to ensure they stay happy. 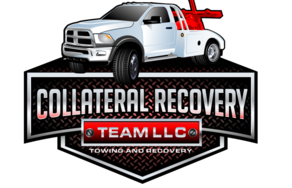 Below is a detailed list of all repossession services Collateral Recovery Team LLC provides in Houston and San Antonio. We have also provided a definition of all the services to help our clients better understand their needs. If you have any questions please feel free to contact us. An Involuntary Repossession is the most common type of service we provide in Texas. This type of repossession is needed when the debtor does not plan on returning the collateral back to the lien holder even though they are behind on their payments. In this type of repossession the element of surprise is a key factor. During an involuntary repossession a breach of peace cannot be committed. There are many laws that regulated how an Involuntary Repossession can be executed. Not hiring the right repossession company can result in an adverse lawsuit from the debtor. A Voluntary Repossession is needed when the registered owner of the vehicle or collateral has contacted the lien holder and is surrendering the unit on his or her own accord. When this takes place we simply contact the registered owner and set up an appointment for a wrecker to pick up the unit. These types of repossession are typical much less expensive because they are much easier to execute. 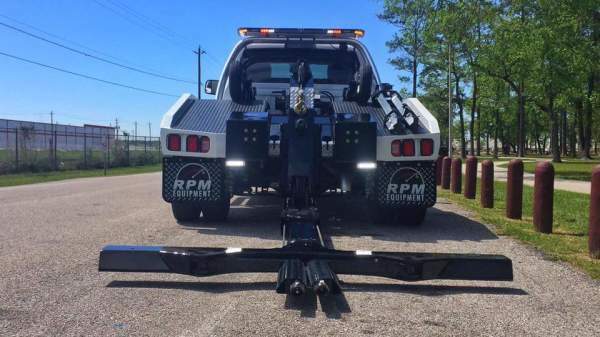 An Impound Recovery is when the collateral has been impounded by the city tow company or a private company. Typically there are fees involved and the repossession company will pay that fee up front, which is called a bail out. The repossession company must be familiar with the process or he could end up making multiple trips to the impound yard. This could be costly because the longer a unit is in the yard the more fees the lien holder will have to pay. Also note, a Repossession Packet is needed to secure the unit without the debtor being present. Skip-tracing is done by collecting as much information as possible about the subject. The information is then analyzed, reduced, and verified. Obtaining new and correct points of contact is crucial. Sometimes the subject's current whereabouts are in the data, but are obfuscated by the sheer amount of information or disinformation. More often the data will be used to identify third parties that might be able to assist the process. This is where the job becomes more than mere research since one must often employ methods of social engineering, which involves calling or visiting former neighbors, employers or other known contacts to ask about the subject, sometimes under false or misleading pretenses. The key cutting services we provide are simple. When a vehicle is repossessed many times the agent is unable to retrieve the key with the unit. Although recovering the key with the unit is the goal on every case, it is not always possible. Because of this having the ability to cut keys on sight is a necessity. We can normally have a key cut the same day for a much lower cost than the local locksmith. This service is needed for many reasons and is paramount for any repossession company to be successful. The most common reason a field visit is needed is to conclude an address. Many times the last known address for a debtor is all a lien holder has to go by. Many hours are wasted running an address that is no longer current. Making contact or door knocking is the only true way to conclude an address. Another reason for making a field visit is when the lien holder cannot reach the debtor on the phone anymore. They can have an agent from the repossession company go to the place of residence or employment and have the debtor call them while they agent stands by. This service is provided by our spotters who are trained thoroughly to perform this task correctly. Transport to auction is when a unit has been repossessed and the registered owner is not redeeming the vehicle. Most lien holders send the unit to auction to be sold quickly and at a lower cost. Auction companies typically charge higher rates for transport so Collateral Recovery Team offers this service as a solution for the high transport cost. Storage to our clients work two ways, long term and short term. Short term is not to exceed 10 days and is included in the cost of repossession. Sometimes units need to stay longer than ten days, and even up to several months. The reason varies from pending legal action taking place, to waiting for the prime auction market to arrive. Having a larger storage facility gives us the ability to always have ample space for collateral to be stored. Our Storage lot can hold up to 150 units comfortably. This service is provided to our clients when either a unit is reported damaged or unrecoverable. Some vehicles are blocked in or behind a locked gate. When this is the case Collateral Recovery Team takes High-Resolution photos to provide proof the debtor is deliberately preventing the repossession from taking place. The other reason high resolution photos are needed is when a unit is reported as wrecker or damaged. Having a way to take very detailed, high resolution photos can give the lien holder an accurate description of the unit so that he or she can determine whether or not they want the unit picked up.